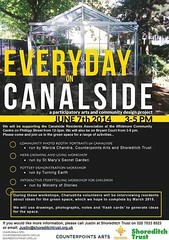 Everyday on Canalside is a portrait of a place and its people, and has been up and running for the past year. The participatory arts website for the project will be launched on the 20th of February. 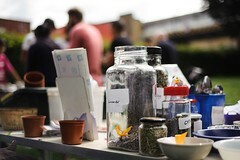 The project website paints a portrait of the individual and collective memories, different histories and ways of being at ‘home’ on the Canalside estate in Hoxton. It chronicles life stories and other perspectives – from the young, the older and in-between. 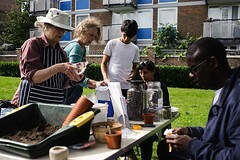 How Canalside residents choose to interconnect and take pride in creating gardens, allotments and other routine spaces. About the little and big things that matter day-to-day – what works well, what doesn’t and why. 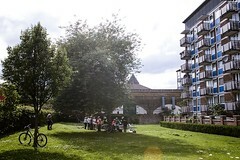 Recent histories of urban regeneration shapes this portrait, revealing how residents were actively involved in the process and vividly remember decade-long upheaval and reconstruction into what Canalside estate is today. Balancing the old with the new, this is a portrait about the present and what Canalside residents imagine the estate and locality might look like in the years to come. The many surprising and ordinary journeys that people took before settling in Canalside sit alongside other stories about change and transitions, in addition to details about what residents value, and what they wish to preserve and protect. 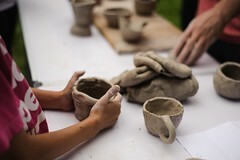 Four integrated activities: Humans of Canalside (http://humansofcanalside.org/), Moving Worlds, Simple Acts and Open Spaces– reflect the many layers of this portrait. Creative storytelling through photography and film paint a picture of a very diverse and rich place, mixing small everyday actions with skills mentoring and garden design. 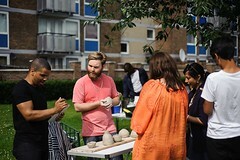 Some of the production team on Everyday on Canalside live or work locally in Hoxton. 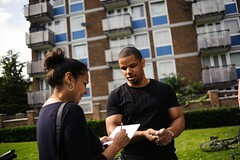 The project is led by Counterpoints Arts in partnership with Shoreditch Trust, Marcia Chandra and Charushila – with support from the Migration Foundation within the Metropolitan Housing Trust.